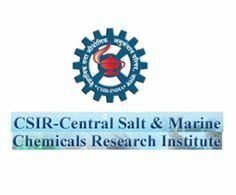 CSMCRI Jobs Recruitment Notification 2019.Central Salt & Marine Chemicals Research Institute inviting applications for the positions of Project Assistant I, Project Assistant Level II and Project Assistant Level III.Interested and Eligible candidates can apply for the positions. Number of vacancies to be filled in CSMCRI is 25 posts. Department wise vacancies are mentioned in down. Contenders who have passed B.Sc. chemistry, Diploma in fabric and civil engineering are eligible for the post Project Assistant Level I.Contenders who have passed M.Sc. / B.E./B.Tech in chemical and mechanical engineering with 55% marks in Biotechnology / Life Science / Microbiology / Botany they are eligible for the post of Project Assistant Level II & III. Based on departments age limits are given below. For Project Assistant Level I age should be 28 years. For Project Assistant Level II age should be 30 years. For Project Assistant Level III age should be 35 years. Here applicants are to be hired through written exam and walk-in-interview. Applicants can engage the interview on 13th February 2019 for 25 vacancies conducted by CSMCRI Recruitment 2019 for the jobs of Project Assistant Level I, Project Assistant Level II & Project Assistant Level III to the venue below. CSIR – Central Salt and Marine Chemicals Research Institute, G. B. Marg, Bhavnagar – 364002 (Gujarat).